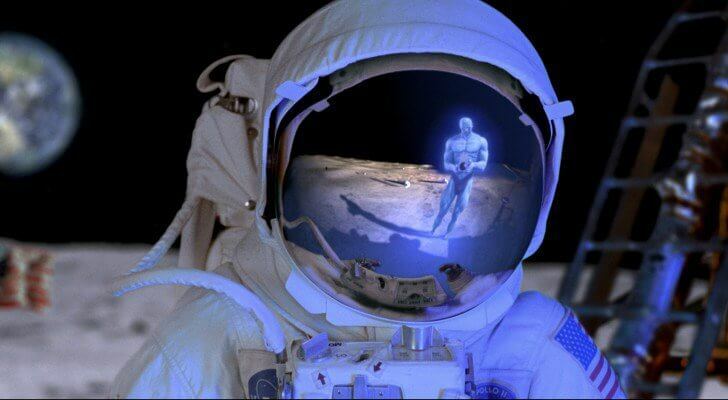 Multiple NASA personnel have made some pretty shocking claims about the Moon. George Leonard, a NASA scientist and photo analyst who obtained various official NASA photographs of the Moon, many of which he published in his book titled Somebody Else Is On The Moon, is just one of these personnel. Although the photos are small in size and their resolution is not up to today’s standards, they show details of original prints which were huge. While Leonard published the identifying code numbers of the photos in his works to back up their source, we still can’t say for sure that they were real, and their poor resolution only makes matters worse. Far more compelling than these photos are his statements about what was found on the Moon, along with his verified NASA credentials. Leonard was not the only one with a credible background trying to tell the world the truth regarding the Moon and the photos that were taken from the Apollo missions. When it comes to the UFO phenomenon, we now have public disclosure of thousands of documents along with hundreds of credible witness testimonies. If you were to tell the average person that you think another civilization, advanced enough to have mastered space travel, had been to the Moon before we got there and is possibly still going there, you would, without a doubt, receive some very peculiar looks in return. On the other hand, if that other person were to decide to hear you out, you would probably get their attention pretty quickly. For some, this type of information can be overwhelming, even terrifying, and that’s okay. Many people are not ready to open their minds up to these possibilities, but the truth of the matter is, it’s something we are going to have to confront eventually. We are clearly heading towards the inevitable reality of extraterrestrial contact — that is, if we smarten up and start taking care of our planet to the best of our ability. Perhaps we can make it long enough to realize this future, or maybe it’s coming sooner than we think. That being said, there is a good deal of evidence to suggest that extraterrestrial contact is already happening.